Stay productive with this Original HP LaserJet toner cartridge that delivers consistent performance and professional results. Designed to minimize interruptions, you get reliable, tried-and-true HP LaserJet printing technology. 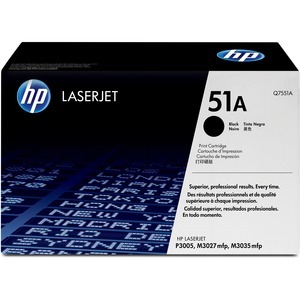 Toner cartridge is designed for use with Hewlett-Packard LaserJet P3005, P3005d, P3005dn, P3005n, P3005x, M3027 MFP, M3027x MFP, M3035 MFP, and M3035xs MFP. Cartridge yields approximately 6,500 pages.